The lack of sightings over the past eight months led some to believe that the Loch Ness monster was another celebrity victim of 2016. New footage has put an end to that, showing what some will hope is Nessie peeking above the water’s surface. “I saw it quite far across the Loch near the castle, but by the time I stopped the van, It was very close and other people stopped to take photos too,” Rob Jones, who filmed the footage, told The Scotsman. What may or may not be Nessie can be seen floating across the famous Scottish lake before going out of shot, all in full view of a number of tourists. “Sadly I don’t believe in monsters, but would love to know what it was,” Jones said. The new sighting was welcomed by the Official Loch Ness Monster Sightings Register, who admitted to being “worried” after the famous monster hadn’t been allegedly seen in eight months. Tour operators can rejoice thanks to Jones’ footage, which looks remarkably similar to the famous 1934 ‘Surgeon’s Photograph’, deemed to be a hoax. Tell us what you think. 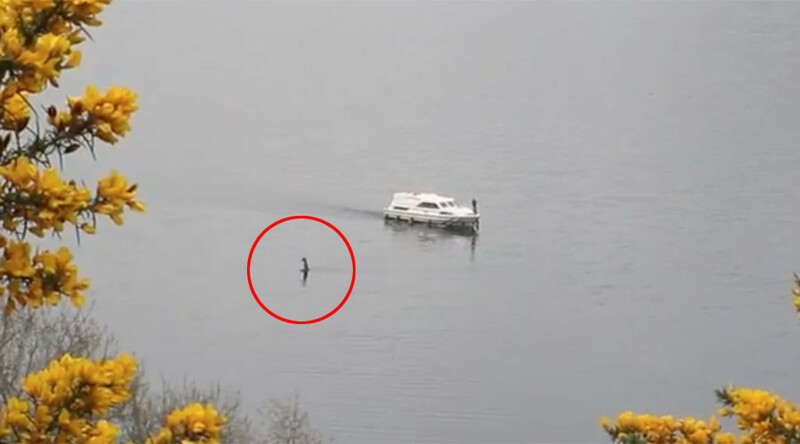 Is the latest footage evidence Nessie is very real and very, very old, or is it just a box of haggis floating in a lake?